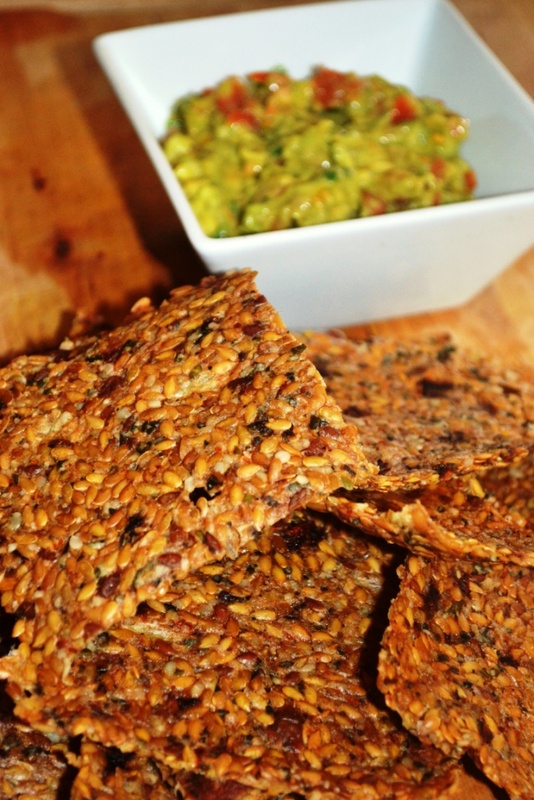 Enjoy this easy raw food recipe and make raw pizza crackers or ala bramborak crackers (not only Czech and Slovakians would enjoy the taste). Raw Food crackers are a great alternative for traditional bread and you can keep them in sealed container in a fridge for up to a month. Mix all ingredients together in food processor until you get a sticky dough. Add more water if needed. Place your dough evenly on non-sticky sheets (about 1-2cm thick). You will probably use 2-3 trays. Dehydrate for 6 hours at 46 degrees, then cut in squares, remove the sheets and dehydrate for another 6 hours. Blend all ingredients in food processor and serve with crackers.